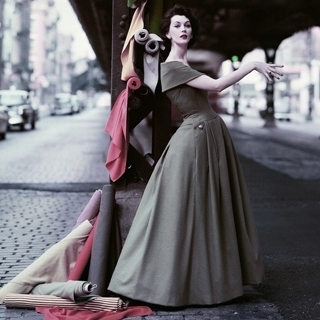 William Helburn was the go-to photographer for many of the top advertising agencies in New York in the 1950s and 1960s. Shock value and an unrelenting hunger for success helped Helburn to a pioneer’s share in the revolutionary era of advertising and his work would also appear on the editorial pages and covers of major magazines. As well as cars and cosmetics, Helburn shot Coca-Cola, Canada Dry, whiskeys, clothing lines, airlines, jewelry, cigars and cigarettes, and any number of other products. He worked with the top models of the day, from Dovima and Dorian Leigh to Jean Patchett and Barbara Mullen to Jean Shrimpton and Lauren Hutton. William Helburn: Seventh and Madison is the first book to survey the photographic work of William Helburn and gives viewers a delicious taste of the vivid reality that the television series Mad Men seeks to evoke. Most of these images have not been seen since they were first published decades ago. In addition to the photographs, Robert Lilly contributes a biographical account of Helburn’s life and work, and former colleagues Jerry Schatzberg, George Lois, Sunny Griffin, and Ali McGraw offer insights into the lusty, creative spirit of William Helburn. Thames & Hudson 2014. Hard cover, 224 pages. 200 Illustrations.